YUI is a famous female Japanese singer-songwritter, muti-instrumentalist, and an actress from Fukuoka. Because so many Japanese named yui, so her name stylized as YUI. 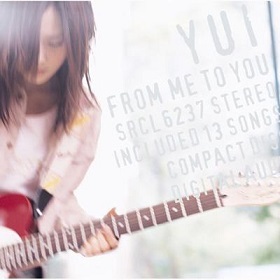 Under Sonic Music Japan, YUI released 5 studio album that always topped the charts. She is popular in Japan and in surrounding countries, ranking number one in 2011 Count Down TV "Dearest Female Artist" and Music Station "Artist You Most Want to Marry" polls, as well as Radio Television Hong Kong's Most Popular Japanese Artist. 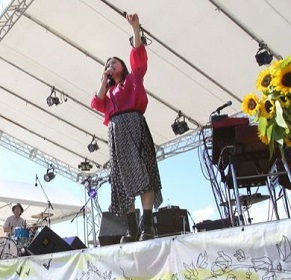 After her second hiatus in the end of 2012, she formed a band called Flower Flower in 2013. Since a kid, Yui though she would like to be a singer. She would remember the beats from music she heard on the radio, and would be able to sing it. During her third year in primary school, she was influenced by her mother to begin writing a journal of her feelings and tried to compose them into poems. Because of this habits, she began to write songs in high school. While in high school, she works part-time at Chinese restaurant to help pay for tuition. Overwhelm with school, music, and work, she has only one or two hours to sleep. Because of this, she became ill and should be hospitalized. In the hospital, she had a serious talk with her mother about her condition. She was overwhelmed with the desire to make music. She said, that she always try to take an audition. After leaving hospital, she take her first talent audition, if she didn't win this, she would give up on music completely. Being one of 338 participants, she sings Kuraki Mai's song Like a Star in the Night. And of course, she become a winner of this audition. After that, she got a change to see her first live performance. She expressed a desire to pursue a musical career to the band, Bianco Nero, at the end of the concert. The band advised Yui to join a private music school. 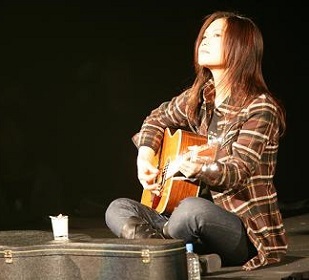 Yui did not hesitate to drop out of high school and began to study guitar and songwriting at the music cram school "Voice" in her hometown of Fukuoka. To help overcome her shyness, she began to take a live performance at Fukuoka's Tenjin Station. On March 2004, she applied for an audition hosted by Sony Music Japan. She sang Why Me and followed by It's Happy Line. And then Yui third song I Know, although instructed that a participant could only perform two songs. This third song was unfinished at that time, so the judge hearing nonsensical English hummed in this third song, and later known as YUI-Go (YUI語, or YUI-speak). Also Yui sang with her guitar and sit with cross-legged, very different with other contestant that sang using standing mic. The judges and the others present claimed that “the performance created a tremendous aura from her heavenly voice, and captured the hearts of the whole audience”. Ten contestants selected from total 20,000 contestants, and Yui has the highest score. After winning the audition, Sony Music Japan didn't release any single yet for Yui. So she decided to release her indie single under Leaflet Records in December 24, 2004, with two tracks It's Happy Line and I Know. This indie single only avaliable in 2,000 copies. She do some live street and sell some of her single on that live street. Now this indie single is very expensive because only available in very limited copies. YUI moved from her home town Fukuoka to Tokyo. As a tribute for her hometown, she wrote song Feel My Soul. This is become her first major debut single released on February 23, 2005. This song along with It's Happy Line become theme song for drama Fukigen na Gene. Together with With the publicity the drama tie-in drew in, Feel My Soul managed to sell over 100,000 copies and managed to chart at number 8 on Oricon Weekly Charts in its first week. Her next three singles, Tomorrow's Way (theme song for the movie Hinokio), Life (5th ending theme for the Bleach anime), and Tokyo did not chart as high as Feel My Soul, and were only moderately successful in comparison. YUI released her debut album on February 22, 2006, titled From Me to You, a moderate success that debuted at number 4 on the Oricon charts, charting for 121 weeks. To convince more people to her music, YUI made her debut in the full-length feature film Song of the Sun (Taiyou no uta, タイヨウのうた), which opened on June 17, 2006. She become Kaoru Amane (雨音 薫), a 16-years-old girl with xeroderma pigmentosum (XP), a disease that makes the ultraviolet radiation of sunlight potentially lethal to the patient. YUI attended the Japan Academy Prize, winning Best Newcomer Award for Midnight Sun. Prior to the release of the movie, YUI released her fifth single Good-bye Days, written specifically for the film. The single is her highest selling single, with more than 200,000 copies sold. All three tracks on the single are featured in Midnight Sun. The single also re-released the track It's Happy Line, originally released on her debut single. The other track is Skyline. 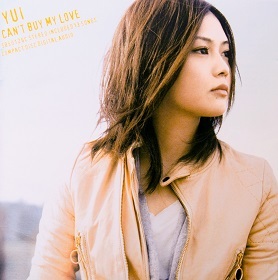 YUI release her 2nd album Can't Buy My Love on April 4, 2007. This album charted number one at Oricon for two weeks, and breaking her previous album sales with over 680,000 copies sales. And with this breakthrough, her first album made another 9,000 copies sales. 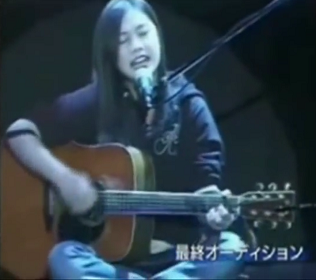 In November 19, 2007, YUI opened her first live show at Nippon Budokan, which promptly sold out. The Budokan concert was structured similar to a live performance, which a writer from B-Pass called it fitting considering her beginnings as a street performer on the streets of Fukuoka. Her third studio album was released on April 9, 2008 titled I Loved Yesterday. It quickly charted at number 1 on the Oricon Weekly Charts and sold more than 400,000 copies, behind her second album. The 10th track on the album, titled Oh Yeah, was used as the opening theme to Mezamashi TV, a morning television show. The limited edition version of the album included a DVD which contained music videos of her previous singles and live footage of her Nippon Budokan show. The album was composed mainly of semi-ballads with much of the same themes as her previous releases such as youth. 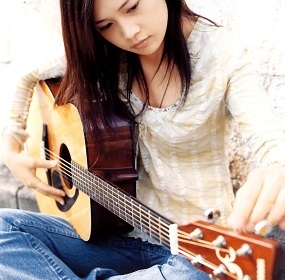 YUI released her first compilation album My Short Stories on November, 2008. This album charted number one in Oricon and she become second female artist whose B-side compilation album topped the charts, after Seiko Matsuda's Touch Me in 1984. With the success of this compilation album, sales of her first album rose again. And then she become hiatus after this album release. But during this break, she co-wrote the song I Do It with Okinawa girl band Stereopony. It was released as Stereopony's third single. After her first hiatus, she continue to make many songs. Until 2011, she released two more albums. Her fourth album, Holidays in the Sun, released on July 14, 2010. Also charted number one at Oricon and selling over 300,000 copies and attaining the certification of Platinum. 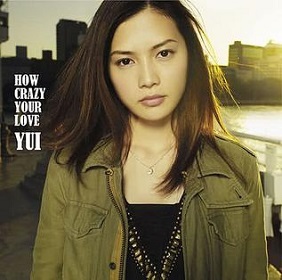 Her fifth and final album studio, How Crazy Your Love, released on November 2, 2011. Also debuted at number one on the daily charts, selling just under 50,000 copies on the first day of release, and would go on to reach number one on the weekly charts, making How Crazy Your Love her fifth straight album to debut at the weekly number one. On October 2012, there is a tribute album She Loves You. It includes songs selected under the editorship of YUI, covered by 12 different singer/group including Stereopony, SCANDAL, miwa, Aoi Eir, and many more. This album also include Bossa Nova self-cover of CHE.R.RY as last track. Unfortunately, she announced that she would be taking a break from music. She explained that "...Yui is so precious and special for me, so I want to leave it as is for a while." To her fans, she said, "Actually, part of the reason I'm going into hiatus again is for the sake of my fans. The biggest reason is that I don't want them to see me with a broken-off heart, if that happens." With this hiatus, Sony released two Compilation album of YUI at the same time. Green Garden Pop and Orange Garden Pop both released in December 5, 2012 and charted number 2 and number 3 at Oricon chart respectively. 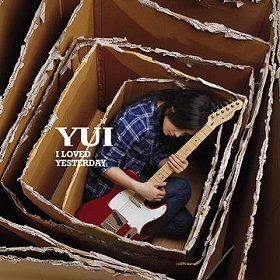 Both of this album described as YUI's first and last "best of" album. 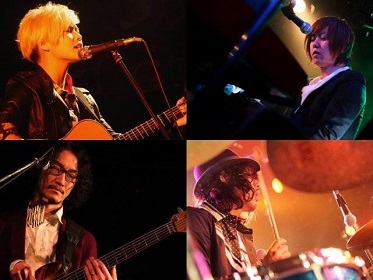 YUI back in May 2013 with her band Flower Flower, that composed with musician that YUI respected, including drummer that usually perform in her live performance, Norihide Saji. She performed under stage name yui (not YUI). Her appearance and music style is completely different with this new band. She cut her hair short and dye it with blonde color. She married a man outside of the industry and is currently pregnant. In August 2015, it was announced that Yui gave birth to healthy twin boys. But two years after that she divorced with her husband at the end of August 2017. Newest single of Flower Flower is Mannequin, written by Yui. With this new band, Yui has performed in many various event like Japanese Rock Festival 2017, Ohara Breaks, and Summer Sonic 2017.